While the study of jurisprudence saw a temporary halt for almost a century after Shaikh Tusi's death, other Islamic sciences continued to flourish. Arguably the greatest work of ShiaTafseer (Quranic exegesis) was produced during this period by Shaikh Tabarsi. He was born Abu Ali Fadal ibn Hassan ibn al-Fadl al-Tabarsi in the year 468 AH. Although opinions vary, scholars tend to think that he was born in the province Tabaristan in present-day Iran. Little is known about his life. However, historians mention a fascinating incident that led him to write his famous exegesis of the Qur'an. One day, Shaikh Tabarsi became unconscious. Doctors were consulted, who pronounced him dead. A funeral was quickly arranged, and the Shaikh was buried. In the grave, he became conscious and realized what had happened. He didn't lose hope and made an oath to Allah: if he were to be rescued from the grave, he would write a monumental commentary on the Qur'an. As soon as the Shaikh made this vow, he heard digging noises. A "shroud thief" had found out that a person had recently been buried in this grave, and he had gotten there to steal the shroud. As the thief opened the grave, he was shocked to find a living person inside! The Shaikh promised that he would greatly reward him and wouldn't reveal his identity to anyone if he helped him out of the grave. The thief agreed, and the Shaikh's life was miraculously saved. Returning home, he remembered his oath to Allah, and very soon he began working on his commentary of the Qur'an. Today, his Majma'ul Bayan Fi Tafseerul Qur'an ("Compendium of Elucidations on the Exegesis of the Qur'an") is considered the greatest work of Shia Tafseer ever written. Shia scholars have written commentaries of the Qur'an in nearly every century, but none has been able to match the eloquence and magnitude of Majma'ul Bayan. Although no English translations have been done as of yet, the 10-volume Arabic version can be purchased online at http://fadakbooks.com. In 548 AH, Shaikh Tabarsi departed from this world. He was interred in the shrine of Imam Ridha (peace be upon him) in Mash'had. Abu Ali Fadhl ibn Hasan Tabarsi (Persian/Arabic:ابوعلى فضل بن حسن طبرسى) known as Shaykh Tabarsi, was a 12th century Persian Shia scholar who died in 548 AH (1153 CE). Tabarsi was born in the year 468 AH (1073 AD/CE) in Tabaristan province, Iran. He lived and taught in Mashad until the year 523 AH (1128 AD). He wrote a number of books on doctrine, theology, ethics and grammar. He wrote his famous work, a commentary on the Quran, when he was over the age of sixty, living in Sabzawar. He had many students, most famous are his son Radhi ad-Din Tabarsi, author of the book Makarim al-Akhlaq, and Ibn Shahr-e Ashub. He was killed in the Oghuz invasion to Khorasan. 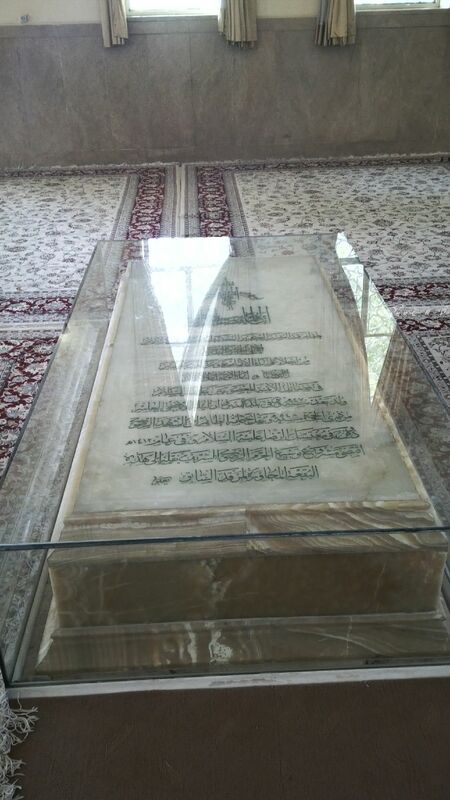 The location of his grave is disputed as to it being within the Imām Ridhā Shrine complex or whether it lies inMazandaran. The shrine located in Mazandaran was the location of the battle between the forces of the Shah of Persia and the Bábís, followers of the Báb, over the period October 10, 1848 to May 10, 1849. Tabarsi had many works, but only around 20 of his books are survived to the present time. His main work is Majma‘ al-bayān (Compendium of Elucidations on the Exegesis of the Quran), a commentary (tafsir) of Qur'an. While Shia Scholars have written many commentaries of the Quran, none has been able to match the eloquence and magnitude of his book. He completed writing this book in the year 534 AH (1139 AD). His other works are al-Kafi al-shall and Jawami al-Jami. 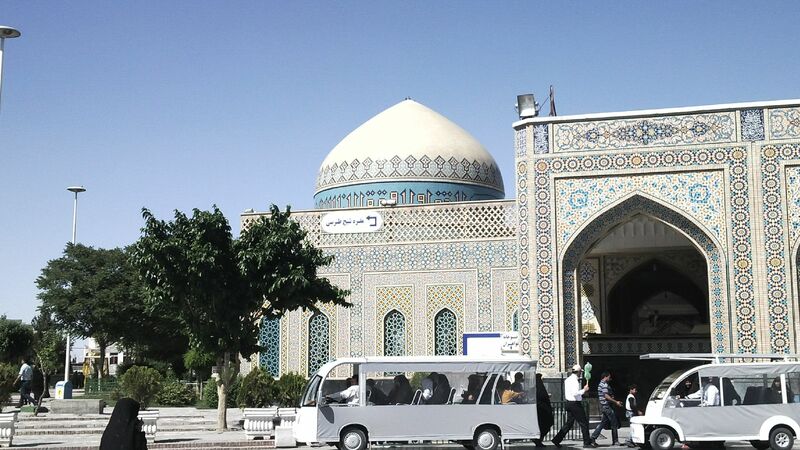 ^ a b "The Great Personalities Buried In The Holy City of Mashhad". Imam Reza (a.s.) Network. Retrieved May 28, 2009.